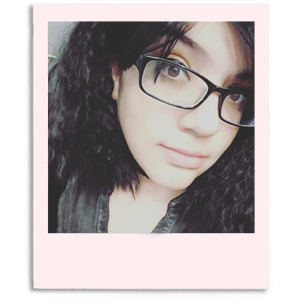 Hiya guys, how's it going today? If you didn't know tomorrow is Earth Day! 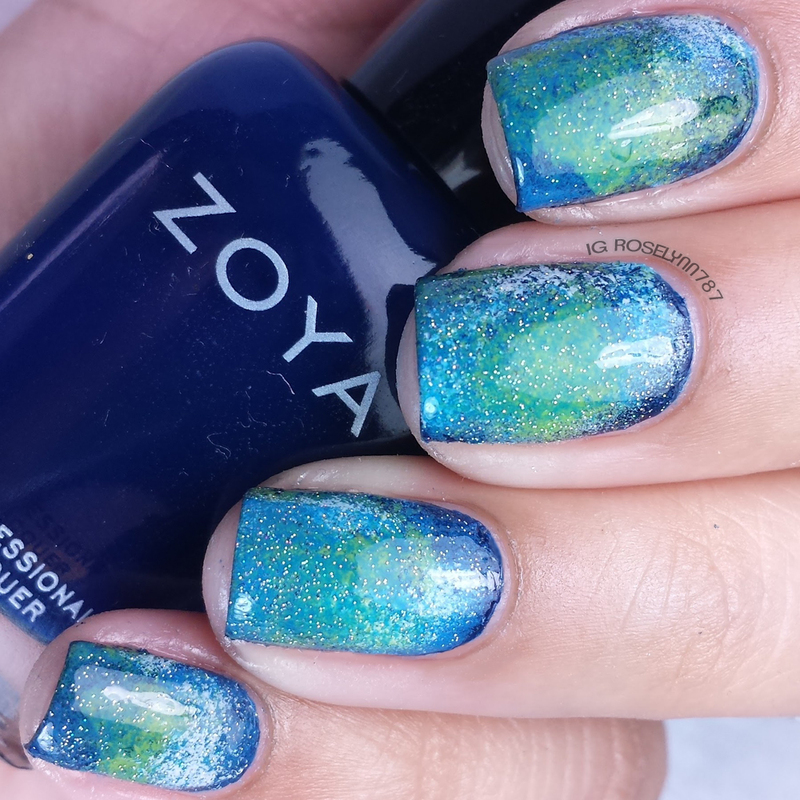 I really wanted to do some nail art for the occasion, especially after seeing the Zoya Earth Day promo I posted about earlier. Now today's nail art is inspired by the lovely Quirky Lacquerista, definitely go pay her a visit if you are unfamiliar with her work. But now let's take a look at the mani! What do you guys think? I am so psyched about the way it turned out and best of all it was super simple to create. It's very abstract and it's really one of those manis that you cannot 'mess' up. 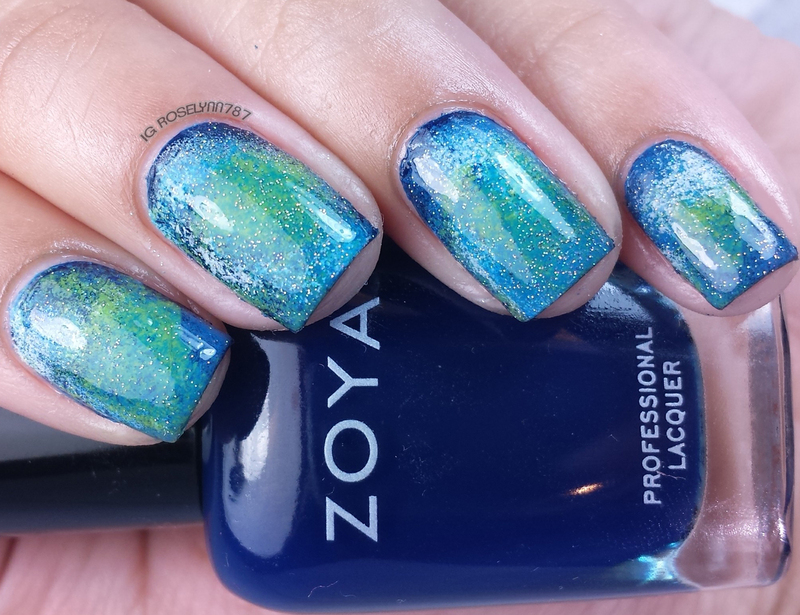 In honor of the Zoya Earth Day Promo, I decided to whip out all of my best Zoya blues (and my favorite bright green) for this mani. I didn't make a video, but if it's something that you would like just let me know down in the comments. The mani was created in the same manner that you would create a galaxy design. I started off by painting my nails with a dark blue, in this case Zoya's Ryan. Using a few pieces of makeup sponges, I dabbed on one color at a time in random patterns. I rotated through the colors to make sure they blended well and also made sure to enough green amongst all the blue. Adding China Glaze Fairydust over the mani was a last second decision before taking the photos, but I loved the effect it added. As always, fairydust makes everything better! Those are absolutely adorable! Can you come over and do my nails? Lol I am beyond horrible at painting my own, and would never be able to pull off that sponging technique without a total mess (literally) on my hands. Thank you :) I'm sure you wouldn't make a mess and even if you did I'm sure it would still look good, that's the fun thing about abstract. Your nails look gorgeous! They really capture the feel of the earth with all the blues and greens. I love it. Thank you, I'm glad to hear that you love it! That is a really nice color.. its my daughters favorite color and she loves nail polish.. Happy Early Earth Day! Thanks. I was really nervous people wouldn't be able to tell it was the Earth at first. My jaw just dropped and I am trying to recollect it. 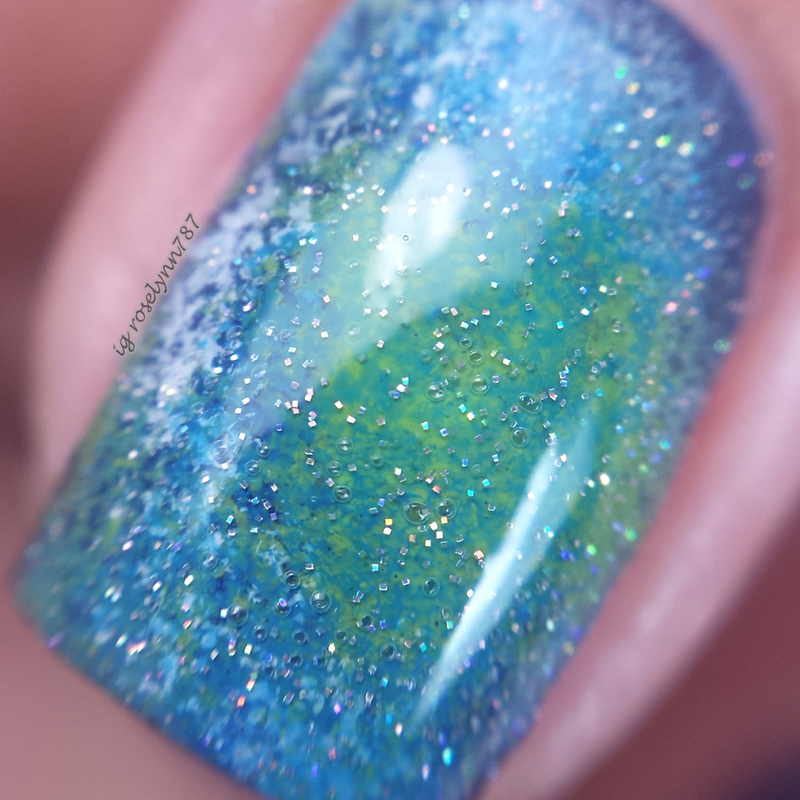 This mani is incredibly gorgeous! I keep staring at it and I feel like I could lose myself in each and every nail! Aww thank you so much, you're so sweet! Your nails look absolutely amazing! They really do look like little earths at your fingertips! Great job! I'm so excited that Earth Day is tomorrow! This is a great way to style your nails for the day! Love it! Whoa. Can you do my nails?? It's like staring off into a galaxy! Well how cool are those nails!! You did a great job with them. I am with Lauren... come do my nails too. It's like looking at the earth from outer space (at least the pics I've seen!). Your nails are so cool. Are you available to come do my nails? LOVE this!! Those colors work so well together. I recommend you wear this even after Earth Day has passed. Wow, those are some really cool nails! I have tried everything, from no chip to nail wraps, and nothing seems to stay on this busy mom's nails. I can't wait until I can relax and get a well deserved and stylish mani/pedi! Your nails look so gorgeous. I love them. I wish I could do mine as well as you do. That is seriously gorgeous. You are super talented with the nail polish art!! I love Zoya polish! Your nails look great - very cool for Earth Day and I just love the colors. That is an amazing color! Perfect for Earth Day! These are incredible! I love everything going on here! I love sparkly polish, especially those that shine like the ocean! I wish I had Earth day nails too now - but my polish is always chipped by three little boys! Of all the nail designs I have seen in here, this is by far my favorite. Way to celebrate Earth Day! That is pure talent! Honestly I'm not sure if I would be able to do that... It's stunning! Wish I had more time to try these amazing nail art tutorials. I love how beautiful and simple these are, yet the design is still completely stunning! This is such a fun way to celebrate earth day! I love how you marbled the colours together! Ooh, that's really really nice! I like! They turned out great! I love the way you can see the different colors and textures under the smooth coat on top. It really looks like Earth. Excellent, I love it! Oh wow! This is so cool- and what a great, little way to strike up a conversation with an admirer about Earth Day. I love this look. I will have to try doing my nails like this. I absolutely love your nails! What a great idea, thank you for sharing. So nice for Earth Day. That's exactly what I think of when I see them too. They're really pretty. Awesome! As soon as I saw them they reminded me of the earth ... 75% water, 25% land. What a wonderful way to celebrate Earth Day! Very pretty! It reminds me of a tropical sea. Pretty mani, perfect for Earth day. These are really pretty, and definitely appropriate! Pretty!! I love the blue/green color!! It's perfect for Earth Day and any other spring/summer day!! I am seriously in love with this style! The best part is that I have most of those zoya blues so I must try this out! Thanks! Love, love, love this mani!! I really need to practice the technique, mine never looks like this! !